Insulin pumps have become very sought after by people with diabetes, particularly people with type 1 diabetes as they have a number of key benefits over injections, including allowing greater control over diabetes. Insulin pumps are not for everyone though and there are a number of disadvantages which need to be taken into account when deciding whether a pump will be right for you. Insulin pumps have a number of features which allow people to take firmer control over their diabetes as well as improving quality of life for those that have struggled on multiple daily injections. Insulin pumps require a catheter to be implanted every 2 or 3 days, which can be more involved than single injections but the benefit is that you have to do this much less often than the number of times you’d need to inject. It also means you don’t need to associate every meal with a needle. Because the cannula stays implanted, it is easier and painless to take additional insulin as and when it is needed. No need to go through the injection process, just press a few buttons and you’re done. A big advantage of an insulin pump is that you can set your pump to deliver different rates of background insulin at different times of day. So, if you’re having night time hypos, but are fine during the day, with a pump you can adjust your night time basal and keep your daytime basal dose the same. It may also give more control in beating dawn phenomenon. Because delivering insulin is less hassle on a pump, you therefore have more flexibility around meal times. Say you decide you want to have a dessert after all, you can go ahead without having to decide whether it’s worth the extra jab. If you decide to go dancing or have an active kick around, you can instantly lower your basal dose so you can minimise the chances of going hypo as a result of the exercise. On injections, if you decide to take part in exercise that you haven’t planned for, your only choice is to take on board carbohydrate and then make sure you do the right amount of exercise to balance the carbohydrate you’ve taken. All this extra flexibility adds up to mean a better chance of controlling blood sugar levels and research shows that insulin pump therapy is generally linked with better blood glucose numbers. NICE reviewed 18 adult and mixed age group studies and in each study, insulin pump therapy showed reduced Hba1c values. In studies of teenagers and children, 20 out of 23 studies showed an improvement in HbA1c results as a result of starting insulin pump therapy. 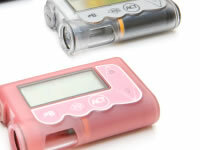 Possibly because insulin pumps require less need to plan hours into the future than with injections, pumps are also linked with a lower risk of having a severe hypo. Whilst there‘s a wealth of benefits in being on a pump, there are some disadvantages which may also apply. In some cases, getting a pump on the NHS can be straight forward and you may not have difficulty applying. However, it is not unusual for the application process for a pump to be drawn out and it can be an emotional rollercoaster for some whilst applying and waiting to see whether you meet the requirements. If you don’t get approved for a pump on the NHS then you have the option to fully fund the pump yourself. As pumps and the necessary supplies are not cheap, this will involve significant outlay of money. There is undoubtedly a lot to take in with moving onto an insulin pump and the first few weeks can represent a steep learning curve as you get used to changing infusion sets, getting your basal rates set and learning to avoid problems such as bubbles. Whilst pumps give you increased opportunity to take control of your diabetes, generally speaking, this does require frequent blood glucose testing of at least 4 times a day. It’s worth noting that attaining better control on multiple daily injections will most likely require frequent testing too. Whilst insulin pumps are generally associated with improved diabetes control, if problems such as getting air in tubing or having a blocked cannula develop, you may not get enough insulin delivered which could lead to ketone levels rising and an increased risk of suffering ketoacidosis. Because insulin pumps involve having a catheter implanted under the skin for a number of days, there is a risk that skin infections can occur. As long as correct procedures are followed, skin infections should be rare but they can be unpleasant and could be dangerous if they do happen. This is an unfortunate down side of insulin pump, particularly if you use longer lengths of tubing. Catching the tubing of your pump on handles and other objects can happen from time to time and, yes, it does usually hurt and can leave your infusion site quite sore for a while. Note that the OmniPod from Ypsomed avoids this problem by not needing tubing.